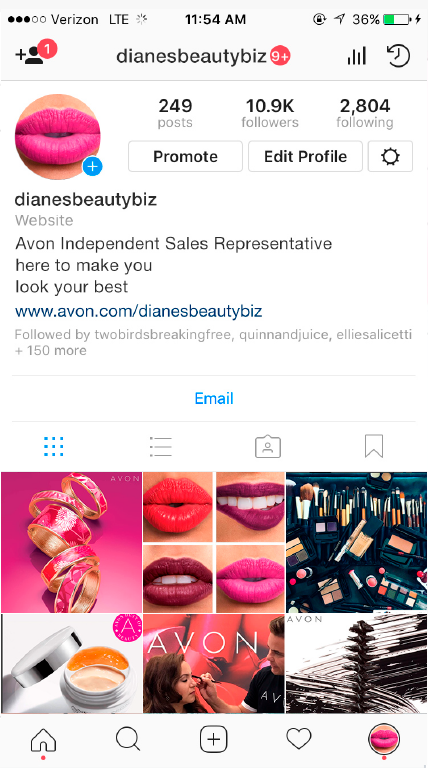 Instagram is a key social media platform to be using for your business. If you aren’t already taking advantage of its 500 million monthly visitors, then now is the time! 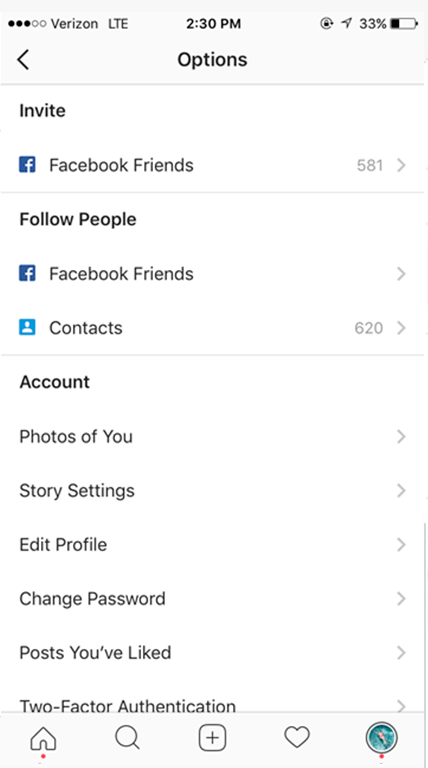 Here’s what you should pay attention to when setting up your Instagram. Maybe you’ll find a few tricks here too even if you already use the platform! 1. Choose a photo or video from your Library, or take one through the app. 2. Once you have your photo, you can edit it and choose from the Filters. 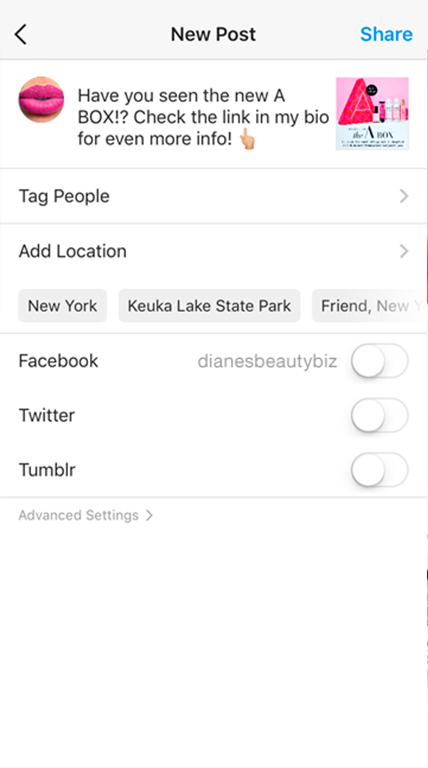 TIP: Stick with the same filter for a feed that feels unified and consistent. 3. 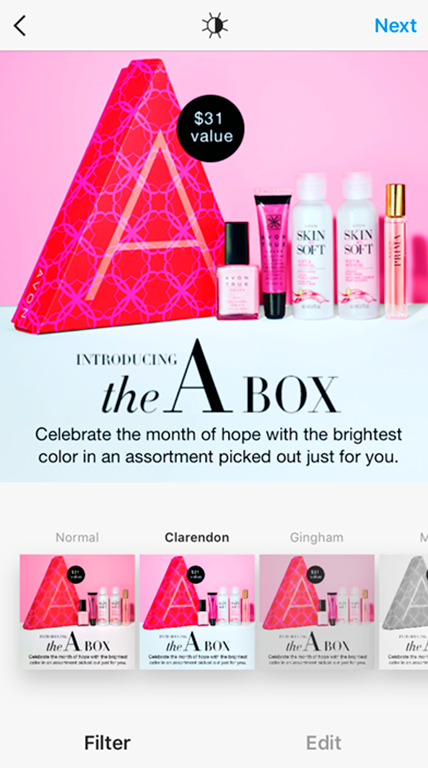 Add a fun caption and redirect users back to your bio to shop your store link, when relevant. 4. Turn on Facebook (or Twitter and Tumblr) share to post it on your Facebook page with just one extra click. 5. 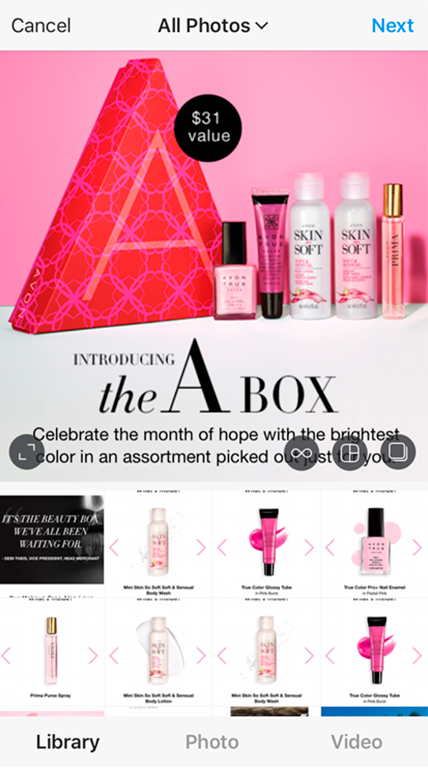 Tag relevant people or companies, like Avon. This may direct users back to your page. 6. Add a location. 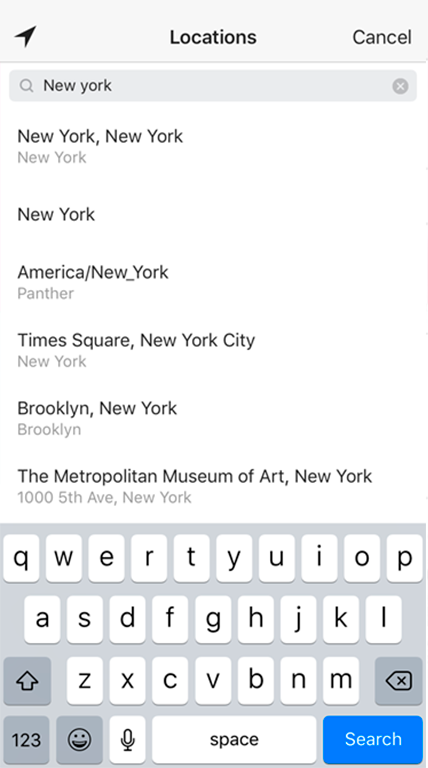 This can help people find you, especially when you choose a location like your hometown that may not have as many posts tied to it. 7. 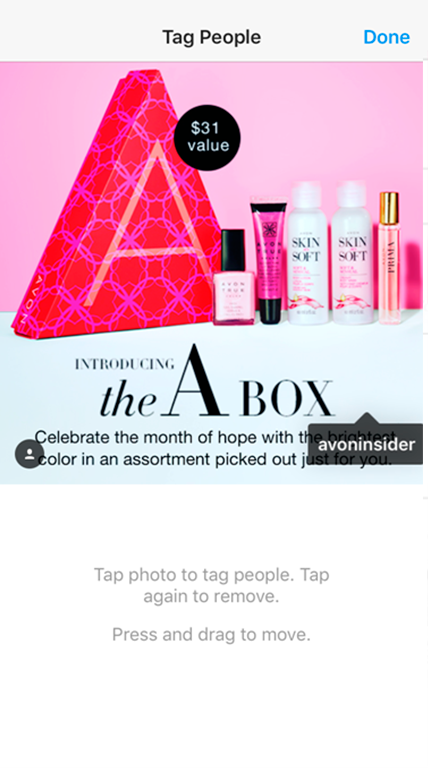 Add hashtags to either a comment on your photo or as your caption. 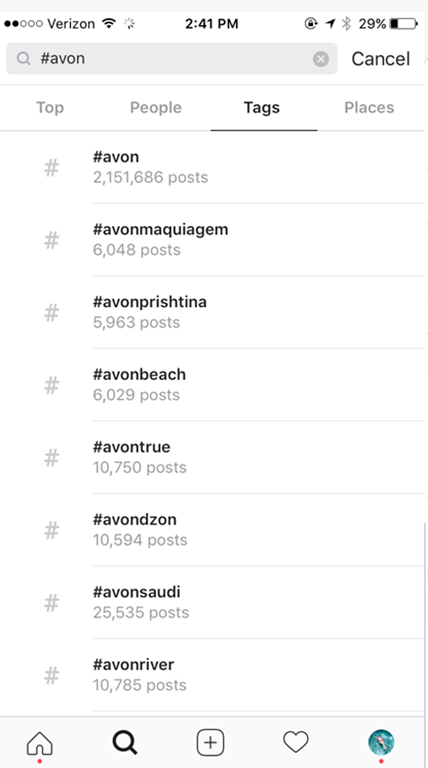 TIP: To find relevant hashtags, choose one related to your post, like “#AVON” and then watch all of the suggestions that pop up and use relevant ones. 9. 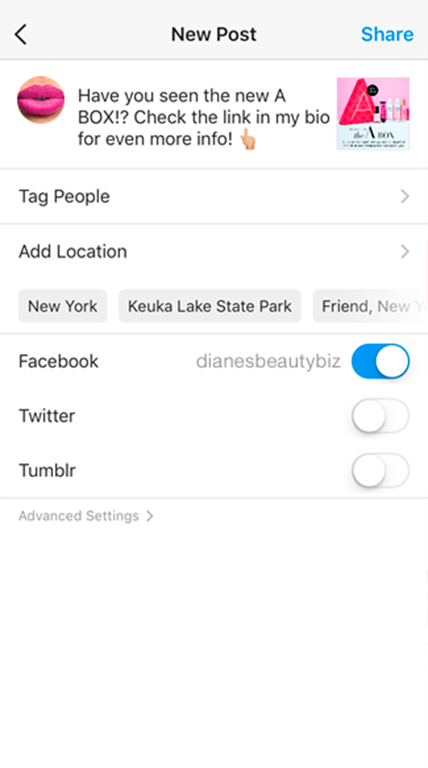 Remember that your stories and your caption are a great place to redirect people to your Bio, which should contain a link to your store or the specific item you are promoting. 10. 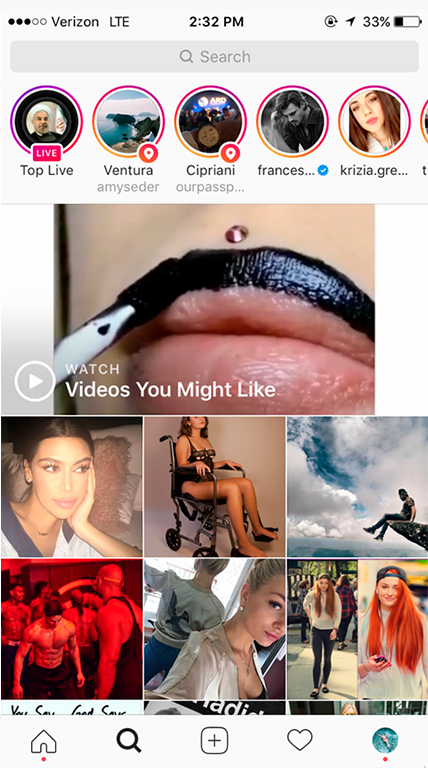 Have fun with the Explore Page. Like, follow and comment on similar accounts, which will bring more people back to your page. 11. 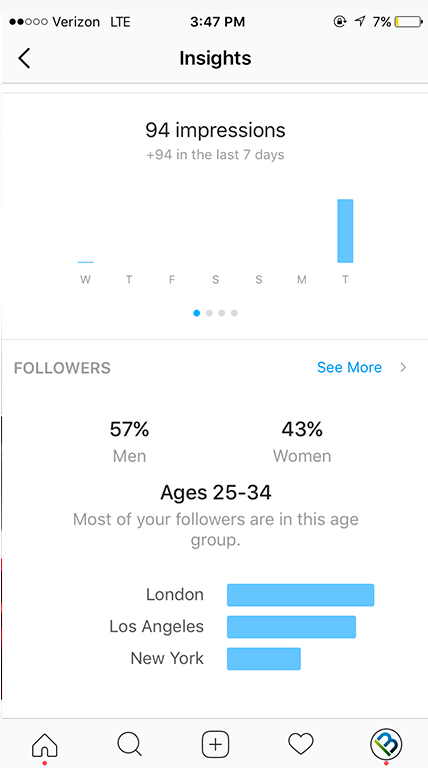 View your Insights to see what’s doing well on your page and best times to post. 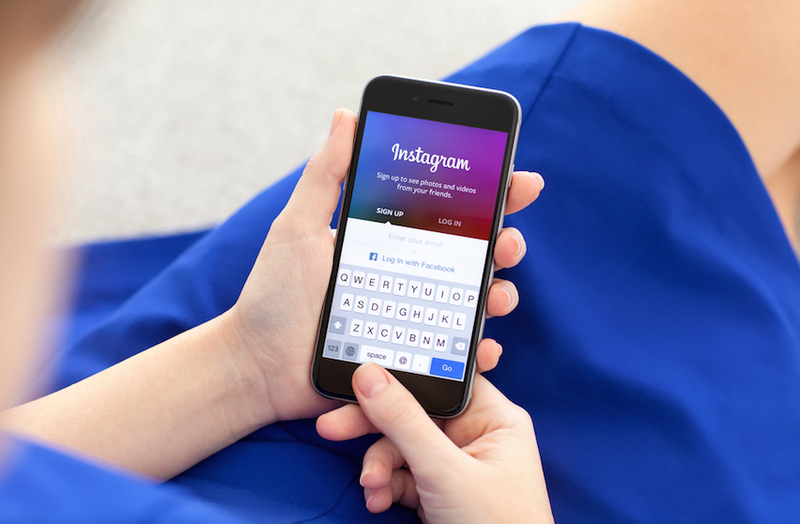 Now that you know the basics of Instagram, are you ready to get started working on yours? !